Inventory requests will often be entered by requesters through the MySchoolBuilding request portal, but you may need to enter a request for another user or enter a request for approval. You can enter a request transaction and issue the inventory in the same time. Required fields are indicated by a red check box ( ). Click on the Requests link in the Information & Analysis section of the home page. From the Request Shortcuts section, click on New Request. 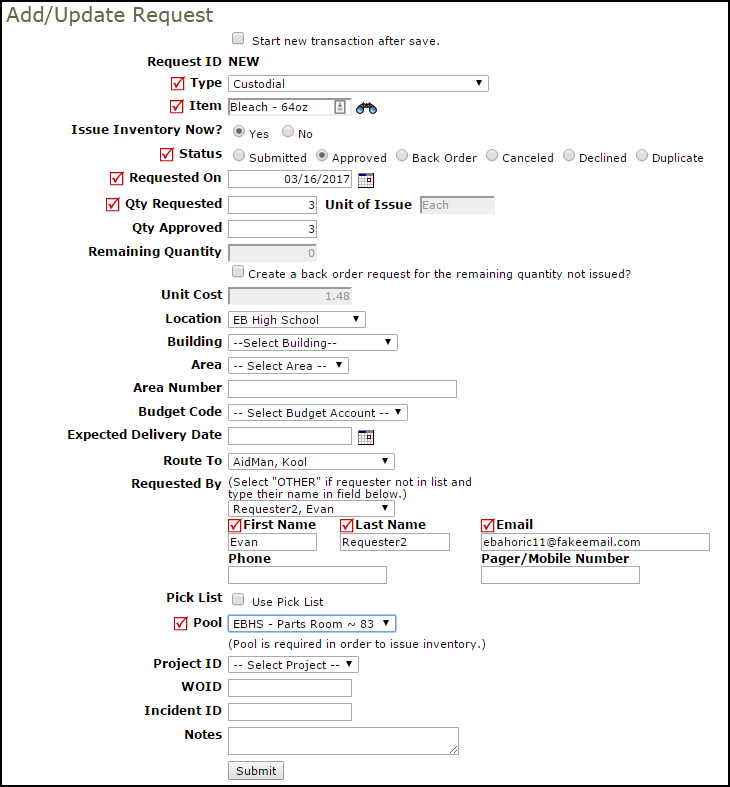 Enter the Location, Building, Area, Area Number, and Budget Code information as necessary.